When the Los Angeles Lakers front office was assembling a roster lat summer, the question was not whether Ivica Zubac would play a large role this season, it was whether he would make the team at all. It was something of a surprise when he did, at the expense of Thomas Bryant, who was released and later picked up by the Washington Wizards. When the season began, Zubac was buried on the bench. When the Lakers’ small ball lineup was not working, instead of giving Zubac a chance, the team signed 36-year-old Tyson Chandler to fill the back-up center role. 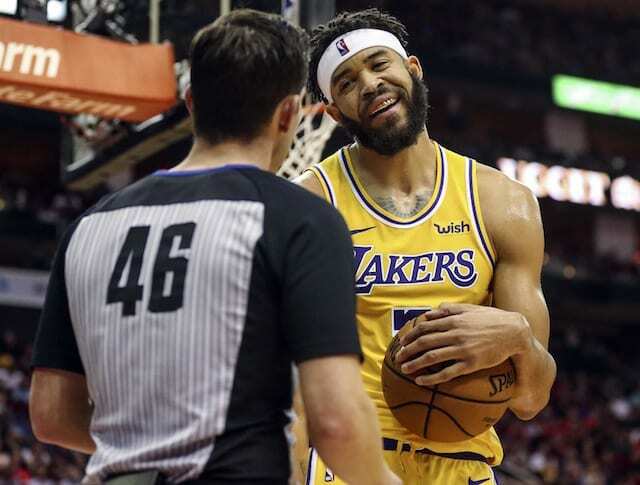 JaVale McGee developed flu-like symptoms in December that turned into pneumonia, thus Zubac was finally forced into action, and he made the most of the opportunity. This past week, it all came together as he played a prominent role. Zubac does not remotely resemble the slow, timid player of last season during which his career fell off a cliff after a very promising rookie campaign the year prior. He looks like an entirely new man, energetic, animated, in very good condition, and playing a physical style of basketball on both ends of the court. Most fans remember the Lakers’ blowout win over the Golden State Warriors on Christmas day. But they forget that Zubac was a huge part of the victory, finishing with 18 points on 9-of-10 shooting, to go along with 11 rebounds. Zubac was playing well, but the coaching staff still seemed reluctant to give him consistent minutes. When McGee returned, the team started to play all three centers, keeping Zubac involved. It didn’t make much sense since McGee and Chandler were not playing that well. Then, this past week the Lakers faced two huge games on the road against the Oklahoma City Thunder and Houston Rockets. When the week started, Zubac played only eight minutes in a listless victory over the lowly Chicago Bulls. Yet, he scored seven points and had three rebounds in the eight minutes. Zubac was then a difference-maker in the win over the Thunder. Yes, Kyle Kuzma made seven three-point shots and finished with a game-high 32 points. Yes, Lonzo Ball was stellar, as he had 18 points, 10 assists, and was excellent on defense. 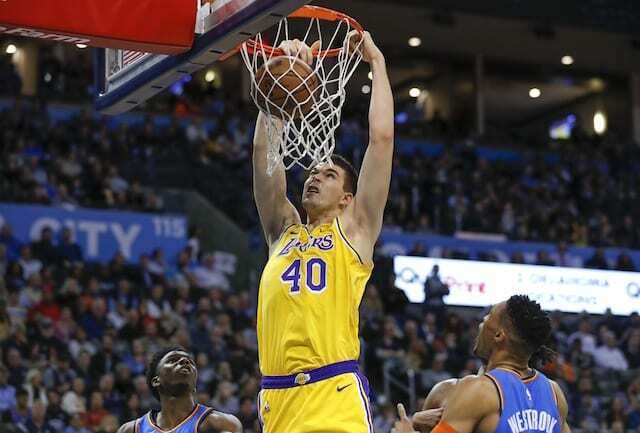 But the Lakers won because of Zubac, who had a career-high 26 points while connecting on 12-of-14 shots from the field. He also pulled down 12 rebounds. Zubac was outstanding on both ends of the court in 28 minutes, and he played with a strength and confidence that was impressive. The final game of the week was in Houston, where the Lakers lost a heart-breaking overtime thriller to the Rockets. The coaches have not explained why Zubac, coming off a huge effort against the Thunder, played only five minutes through the first three quarters. Zubac entered the game to start the fourth quarter and never left, playing all 12 minutes of the quarter and the entire overtime. Not only that, he was fantastic, scoring 17 points and grabbing seven rebounds in a mere 21 minutes of playing time. 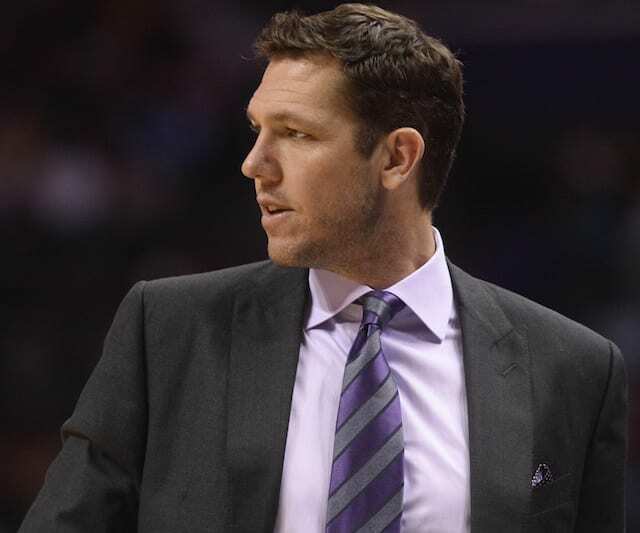 Everyone knows that the Lakers have been miserable from the free throw line all season which has cost them games. Zubac is one of the few exceptions, as he is shooting an outstanding 88.6 percent from the charity stripe. His shot is flat but it goes in. So it should not come as a surprise that he was a perfect nine for nine from the free throw line against the Rockets. What was even more impressive, however, was that most of the free throws came at a critical time with the game on the line at the end. Zubac calmly sank crucial free throw after crucial free throw which kept the Lakers in the game. Zubac is a new man. He has become a difference-maker. 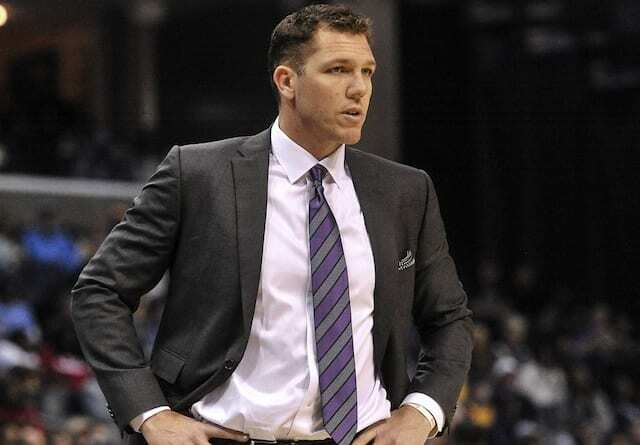 The Lakers coaching staff has been slow to recognize what they have the past month, and they aren’t quite sure what to do with him given there are two veteran centers on the roster. When people mention the Lakers young core, Zubac is hardly ever included in the discussion. The 21-year-old may be rewriting the script. Speculation has surfaced that the Lakers are floating several players in trade talks, and Zubac is reportedly one of those names. If it is true, the front office should think twice, and if they do give up on another young player like they have done so often the past few years, they had better get something very valuable in return.